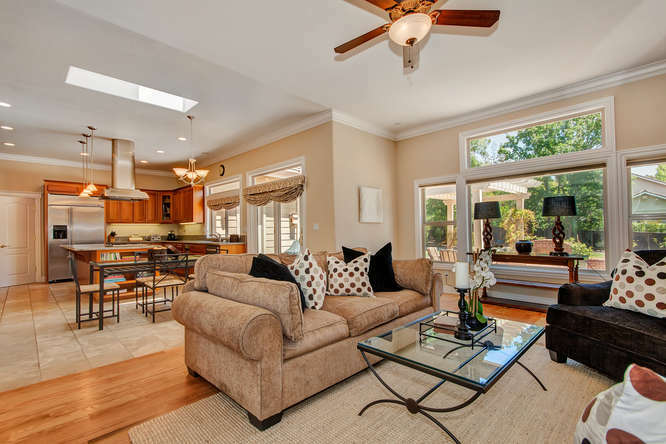 Built new in 2001, this two-story home in Walnut Heights offers a spectacular open floor plan wrapped in high-end finishes. 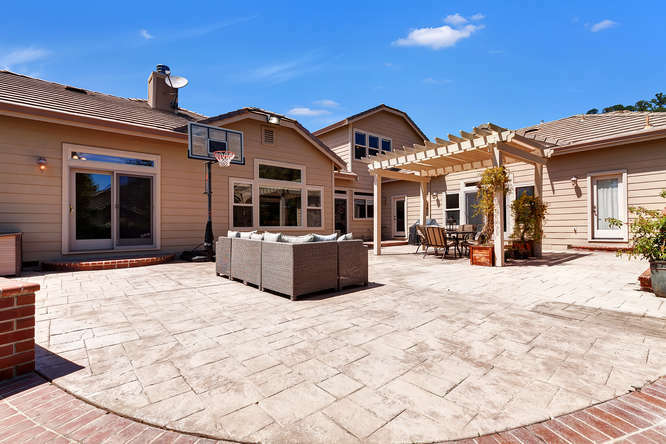 This home has ample living space with 4,048 square feet, an open kitchen that overlooks the large family room, formal living and dining room, five bedrooms, four full baths and a huge bonus room. 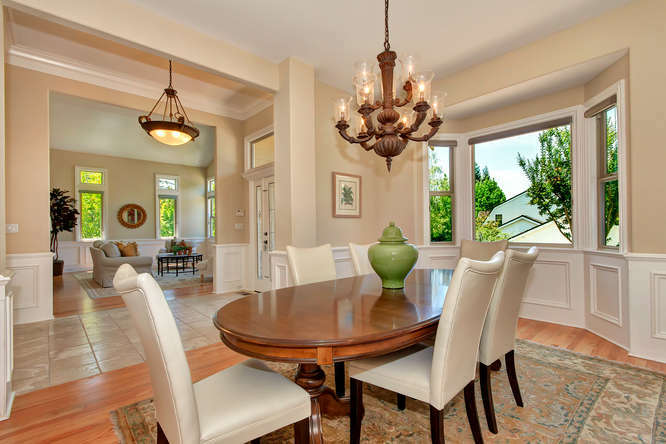 Upon entering 10 Wild Oak Ct, you are greeted with a beautiful tile entry transitioning to hardwood flooring in the formal rooms, gorgeous wainscoting, soaring ceilings and custom window coverings throughout. 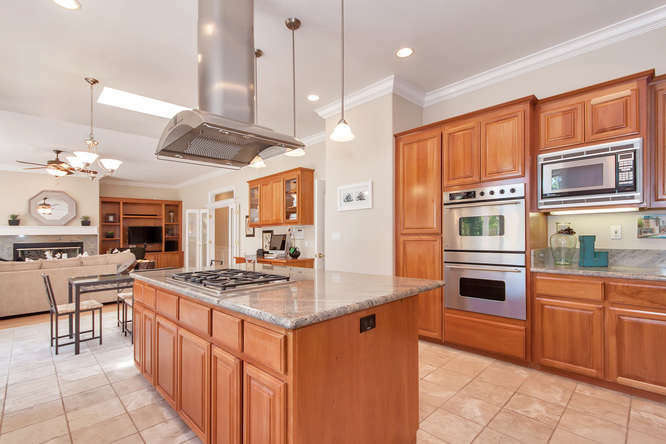 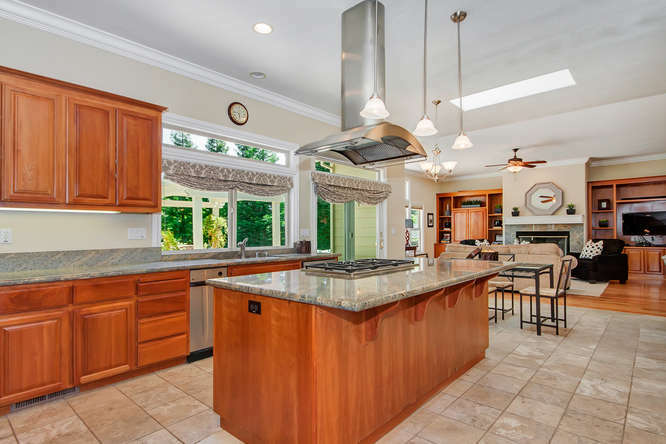 The airy kitchen is stunning and well equipped with granite countertops, cherry cabinetry, built-in stainless steel refrigerator, gas cooktop, double ovens, and bar seating on the large island. 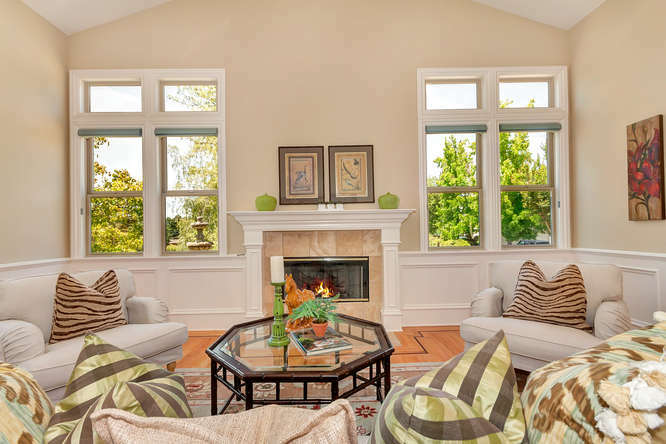 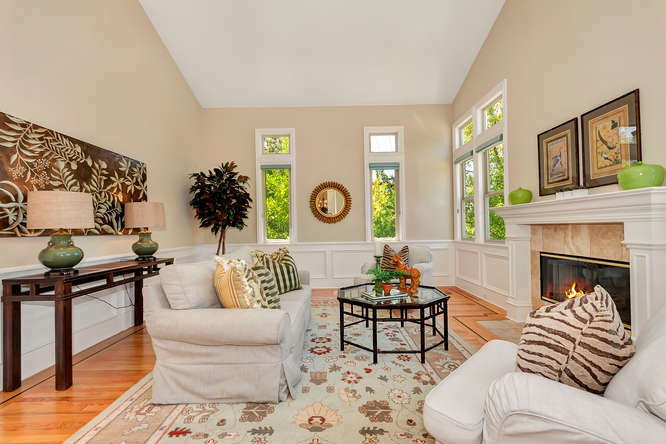 The family room is incredibly large with high ceilings, gas fireplace, built-in cherry cabinetry and abundant natural light through the walls of windows. 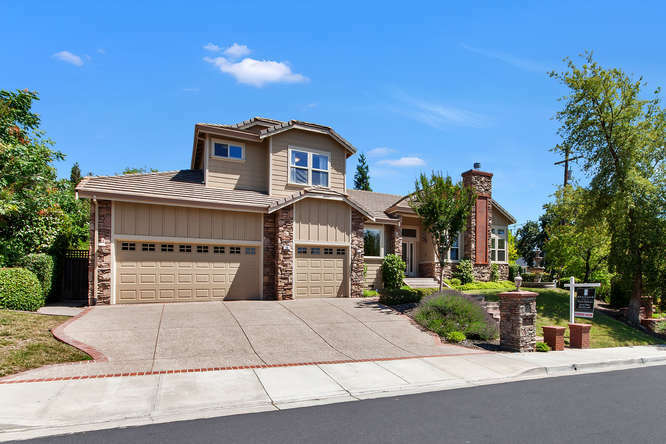 Easily lived as a one-story home, first floor spaces include the master suite, laundry room and three additional bedrooms. 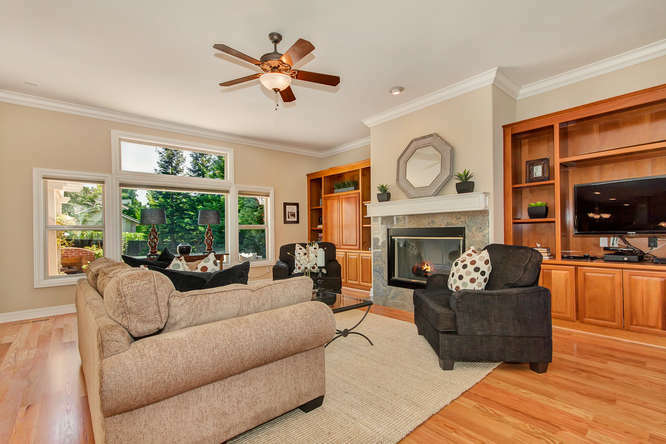 The master suite is truly spectacular with its wall of windows and sliding glass door leading to the backyard, vaulted ceilings, gas fireplace and superb closet. 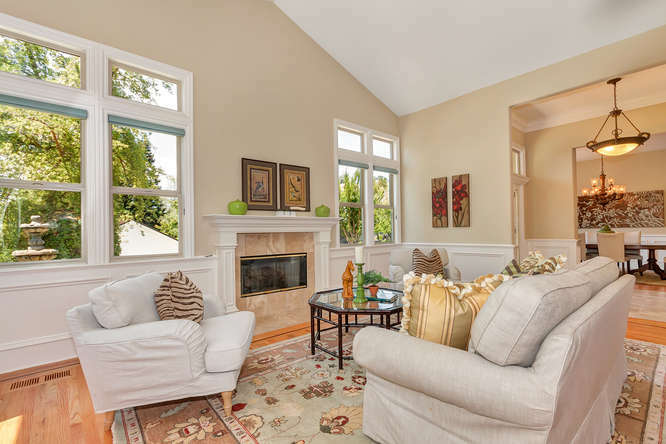 Set within a beautiful tile surround, the master bath includes a jetted tub, large walk-in shower, and double vanities. 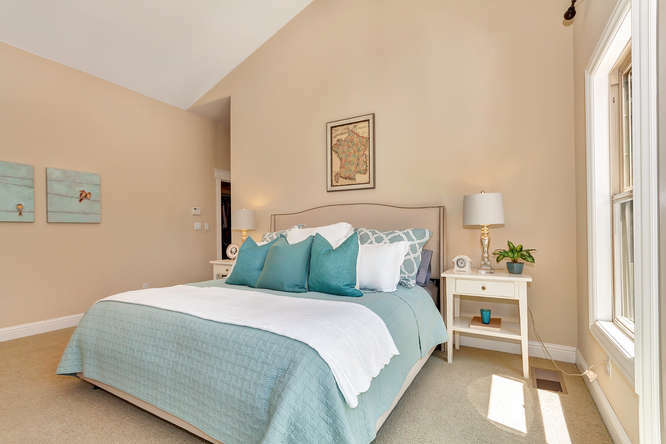 Secondary bedrooms are well sized and offer substantial closet space and close access to secondary bathrooms. 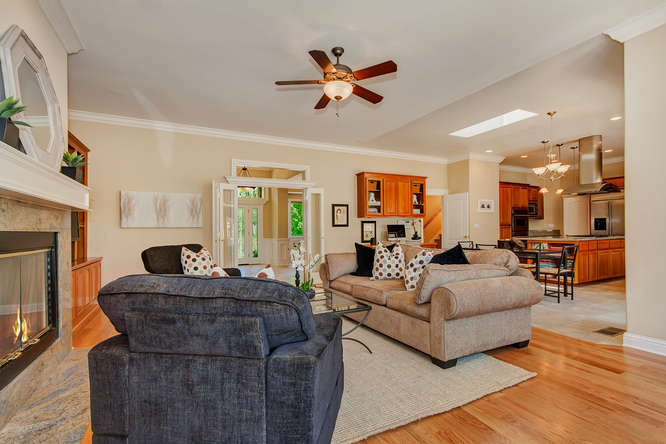 The second floor of this home is well designed with a massive bonus room, private bedroom and a full bathroom. 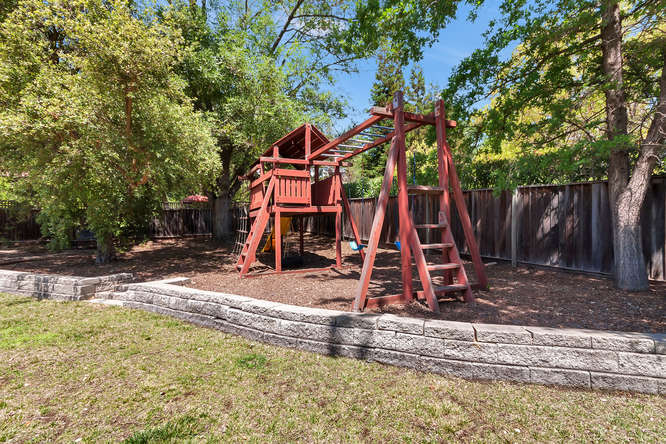 The backyard of 10 Wild Oak is every family’s dream. 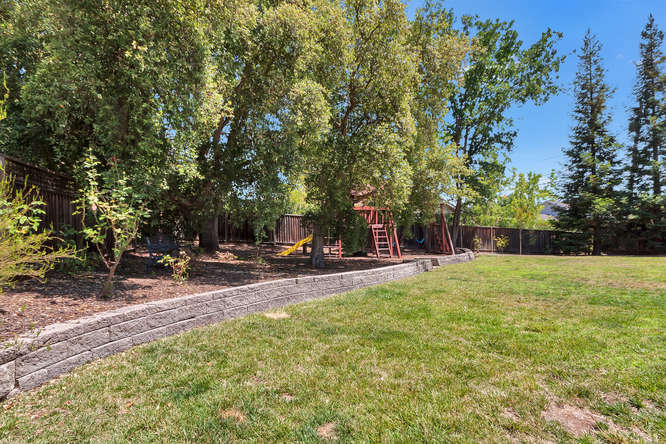 Set on 0.38 acres of private, lush, flat yard, this space is an open canvas for impromptu soccer games or a neighborhood barbecue. 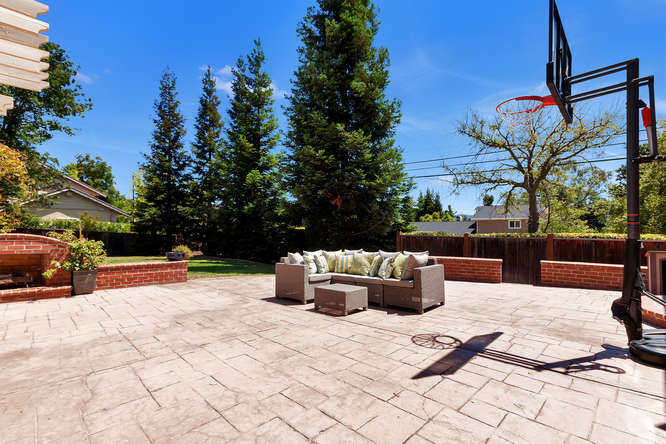 Location could not be better with its excellent proximity to downtown Walnut Creek, Highways 680/24 and Walnut Creek BART. 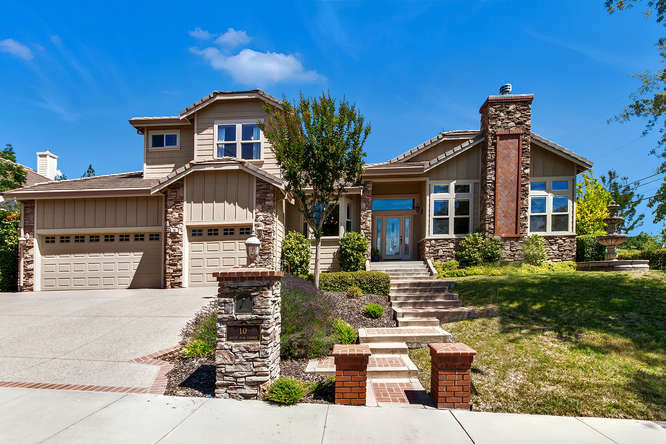 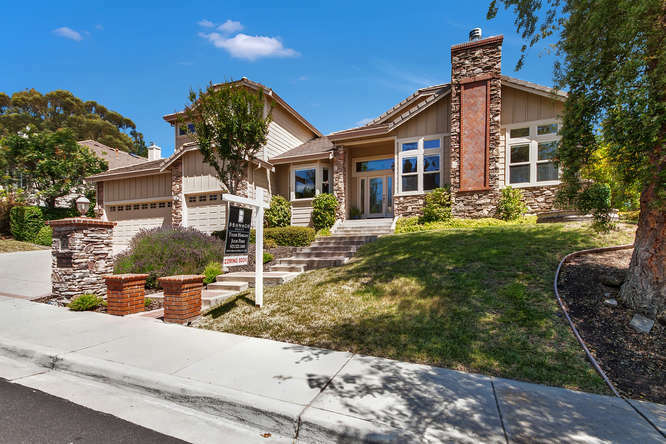 Walnut Heights is one of the most desirable Walnut Creek neighborhoods set against the open space of Shell Ridge in top-rated Walnut Creek schools. 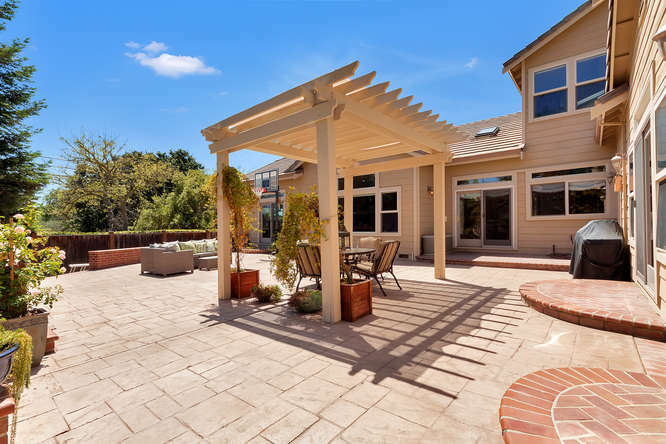 It offers the best of both worlds by feeling idyllic in its community charm yet just minutes from downtown!